Shiloh Veterinary Hospital is pleased to provide you with this link to Veterinary Information Network, an online library providing veterinarian provided articles about pet health. Here you will find articles about pet health, behavior issues and medication your pet may be taking. 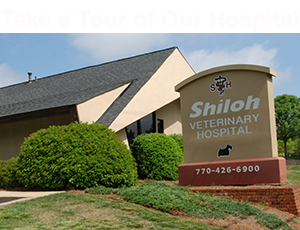 As a client of Shiloh Veterinary Hospital, you have access to hundreds of articles relating to your pet’s health. It is easy to find articles. Access the VIN network to find the subject you are looking for. Enter a word or words in the search box that describe the topic you want information on. (Example: spay/neuter surgery, Cushing’s Disease, dog aggression, etc. ).